Senators to FCC head: Is the media the enemy? 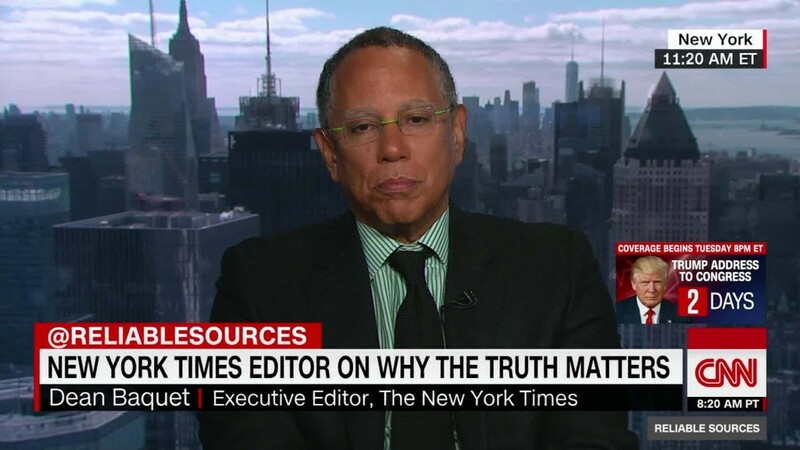 NYT editor: Trump's attacks are "failing"
The country's top media industry regulator really doesn't want to talk about President Trump's attacks on the media. Ajit Pai, the chairman of the Federal Communications Commission, was grilled by two senators Wednesday about whether he agrees with Trump's recent claim that the media is the enemy of the American people. Pai demurred to both senators. "I don't want to wade into the larger political debates," he said. When pressed about his response, Pai added: "I believe that every American enjoys the First Amendment protections guaranteed by the Constitution." "I wish your answer had been a little different," Senator Maggie Hassan said in response to Pai. The unusual exchange came during a broader Senate oversight hearing on the FCC. It highlights the concern among some legislators over how Trump and his appointees will regulate the media industry he has attacked. Trump's administration has attacked critical outlets as "fake news" and blocked certain publications, including CNN, from a recent press briefing. During the campaign, Trump said he would stop AT&T's (T) deal to buy Time Warner (TWX), the parent company of CNN. The FCC could prove crucial to Trump in this area. The agency has the authority to block major media mergers, revoke broadcast licenses and regulate Internet providers. When asked by Senator Tom Udall if he would resist any effort by the White House to "use the FCC to intimidate news organizations," Pai stressed the FCC's independence. "We are an independent agency," Pai said. For any issue that comes before the FCC, he added, "I will make a determination based on what I and my colleagues think is in the public interest." Pai has served as a Republican FCC commissioner since 2012. He was appointed to head the agency by Trump in January. 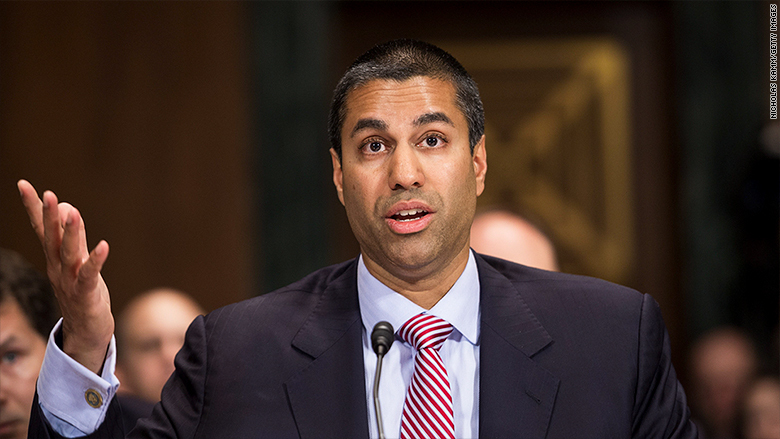 This week, Trump renominated Pai to serve a second five-year term, which will require Senate approval. On his FCC bio page, Pai is described is described as "an outspoken defender of First Amendment freedoms." In one interview last year, Pai said the FCC should use "the bully pulpit that it has to continue advocating for free speech." In the Senate exchange, Pai said he would "simply reaffirm" his earlier comments on First Amendment rights.